Quinn Sullivan (American Guitar Prodigy); Joey O'Sullivan (Irish Actor); William Randolph McCreight (American author); Finian O'Sullivan (Irish CEO); Sean O'Sullivan (American CEO); Thomas O'Shea (Archbishop); Connie Mack (American Politician), Eoghan Rua Ó Súilleabháin (Irish Poet); Gearoid O'Sullivan (Irish Soldier); John Sullivan (Film Director/Producer), Nóirín O’Sullivan (Commissioner of Irish Garda); Captain Arthur O'Sullivan (British Soldier); Timothy Paul Sullivan (American Baseball Legend); David O'Sullivan (EU Ambassador); Shawn O'Sullivan (Canadian Boxer). 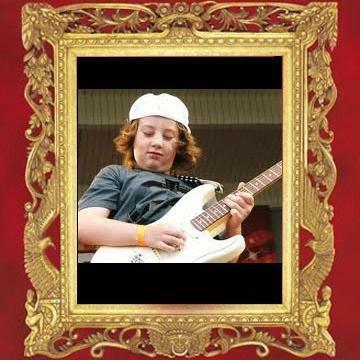 Quinn Sullivan (born March 26, 1999) is a guitar prodigy from the old fishing town of New Bedford, Massachusetts. Sullivan first picked up a guitar at the age of five. He was "discovered" by Ellen Degeneres and later joined up with guitar legend Buddy Guy in 2007. He released his debut album Cyclone in 2011. Click here to see a video clip of his debut with Buddy Guy. Joey O’Sullivan is a talented young actor who co-stars with Martin Sheen in the recently completed feature film, Stella Days. The film was directed by Thaddeus O’Sullivan and was shot on location in County Tipperary. It is the story of an innovative parish priest who encourages his village to open up a local cinema. The priest, played by Sheen, meets stiff resistance from some of his parishioners and outright opposition from his bishop, who wants to raise money to build a new church. Watch for the film to be released soon by Newgrange Films. William Randolph McCreight was born in 1934 in Newton, North Carolina. During the Korean War he was conscripted into the U.S. Army and assigned to a medical research laboratory in Korea researching hemorrhagic fever, about 15 miles from the front. Upon his return, he completed his university studies in physics and math. After graduation he was employed by NASA for orbital analysis. While at NASA he continued working in a medical laboratory at night where he met his wife, Antje from Hamburg, Germany. He was subsequently hired by Boeing Aerospace Division in Seattle, Washington, where he worked on a project predicting the effects of atomic explosions on spacecraft. Later he was sent to England to work on the development of one of the world’s first airline passenger reservation systems. Two years later he was sent to Sweden where he planned and implemented a medical system that made the records of a quarter of the population of Sweden available to their personal physicians. He subsequently worked in Switzerland as a consultant to the World Health Organization and lectured on medical automation in a number of health ministries and universities in Europe. He worked again in England, Germany, Turkey, Czechoslovakia and South Africa on medical systems, data communication, banking communications and banking security. After retiring in Germany, Mr. McCreight dedicated his life to researching ancient European genealogies, including the O’Sullivan and Kilian families. 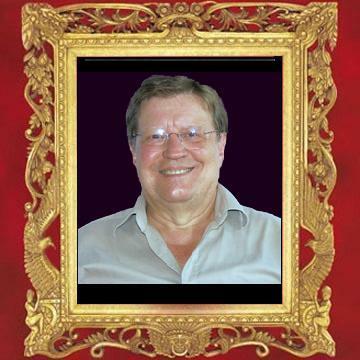 He recently published his work, O'Sullivan: The Earliest Irish Royal Family: History and Genealogy. This superb genealogical and historical account traces the O'Sullivan sept a full thirty-one generations from the author’s Carolina origins to the family’s Irish roots in 170 AD. Mr. McCreight demonstrates that the O'Sullivans may be the oldest documented royal family on record, based on examinations of archaeological, linguistic, and DNA evidence. Little wonder that esteemed genealogist Brian Mitchell calls O'Sullivan "a phenomenal piece of research and wide-ranging discussion into the origins of a very significant Irish family and in the process a well-illustrated history of Ireland." O'Sullivan. 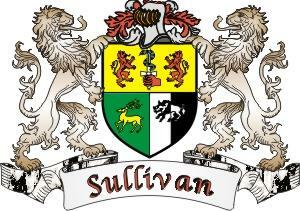 The Earliest Irish Royal Family: History and Genealogy traces six O’Sullivan lines, from the first person called Sullivan, to France, Spain, and America. Mr. McCreight sets the stage for his genealogies with a lavishly illustrated historical essay that places the O’Sullivan fortunes and misfortunes in historical context. Mr. McCreight is now working on a project tracing the history and genealogy of the original forty tribes that migrated into the Holy Roman Empire at the turn of the first millennium (from Scandinavia, Asia and North Africa) and founded the European states we know today. Finian O’Sullivan (56) holds an honors degree in Geology from University College Galway. Finian has pursued an international career in the oil industry spanning 32 years with Chevron, Geophysical Systems, Olympic Oil and Gas and Burren Energy. 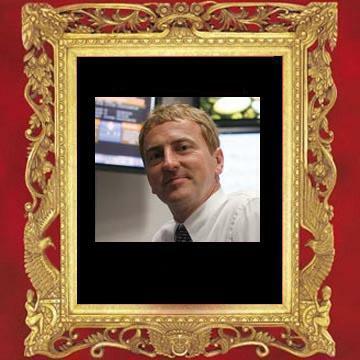 Finian founded Burren Energy in 1994 and developed its business in Turkmenistan and West Africa leading to Burren’s flotation on the London Stock Exchange with a market capitalization of £175 million in 2003. 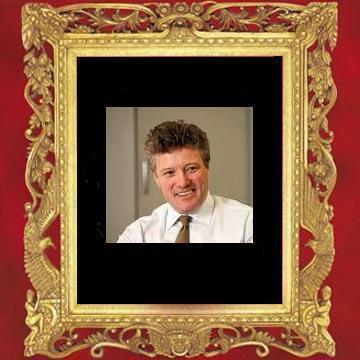 As Chief Executive, Finian expanded Burren’s activities with successful exploration and steady growth in production. In 2008, Burren Energy was sold to Eni for £1.7 billion. So O’Sullivan took on the job himself—founding JumpStart International, a nongovernmental humanitarian organization, in 2003 and hiring 3,500 Iraqis to “tear down the old and make way for the new.” In doing so, he acquired a perspective on the world that echoes in his convictions to this day. O’Sullivan bears an uncanny resemblance to the ideal of the Renaissance man. While earning his electrical engineering degree at Rensselaer, he and three other students founded MapInfo, now the world’s leading provider of “location intelligence” (i.e., computerized mapping) solutions. MapInfo was the first to create the ability to type an address into a computer and see a street map—a technology now used all over the world. After seven years as MapInfo’s president, O’Sullivan left to start a rock band, which produced two CDs, and a popular music studio in Philadelphia, which recorded INXS, Sheryl Crow, Joan Osborne, and other superstars. Music was hardly his last stop. Indeed, he went on to launch other technology companies, start a venture capital fund (backing 18 companies, six of which are now publicly held), earn his master’s degree in film production, and create a handful of independent films. It was on a documentary shoot in Iraq that the inspiration for JumpStart came to him. To read source article please click on photo. To view original biography from the New Zealand Government site please click on photo. Thomas O'Shea was the son of Edmond Shea and his wife, Johanna Sullivan. Both born in Ireland, they married in 1869 in Charleston on the West Coast of New Zealand where Shea was a miner. The couple emigrated to California, and Thomas was born at San Francisco on 13 March 1870; they seem to have used the name O'Shea from this time. The family soon returned to New Zealand and began farming in Hawera. Thomas received his early education at the local convent school and the Marist brothers' school in Napier. He attended St Patrick's College, Wellington, from its opening day in June 1885 and taught there in 1889. He was an accomplished cricketer and rugby player, retaining a keen interest in the latter sport all his life, and as an adult also played golf. In 1890 O'Shea entered the Marist seminary at Meeanee; he was professed as a member of the Society of Mary the following year and ordained on 3 December 1893. He taught philosophy at the seminary from 1894 until 1896, when ill health necessitated several months' recuperation in Australia. On returning to New Zealand O'Shea served in the Wellington parish of Te Aro; he was initially based at St Mary of the Angels Church and then at St Joseph's in Buckle Street. O'Shea was appointed vicar general of the archdiocese in 1907, and received the title of dean in 1912. 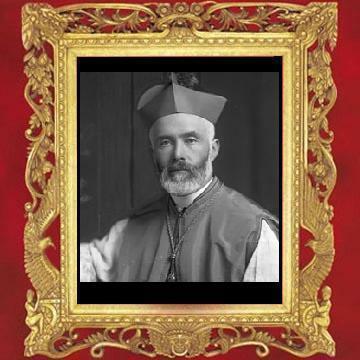 On 17 August 1913 – after protests from the secular clergy, who had not been consulted over the appointment – O'Shea was consecrated as coadjutor archbishop of Wellington. St Joseph's was made the headquarters of a separate parish over which he continued to have charge. Increasingly he took over responsibility for the affairs of the archdiocese from the ageing Archbishop Francis Redwood, and when the latter died on 3 January 1935 O'Shea succeeded him. During O'Shea's tenure, the archdiocese's traditional dependence on the Society of Mary was replaced by increasing reliance on secular clergy. Committed to the cause of Catholic education, O'Shea chaired from its inception in 1912 the Wellington Catholic Education Trust Board, which was able to provide free tuition in the city's Catholic primary schools from 1929. A lifelong concern for social justice was expressed in his revival of the Society of St Vincent de Paul in Wellington in 1906, and the promotion of Catholic social-study classes throughout the archdiocese during and after the depression. In 1936 O'Shea appointed a Church Music Commission to promote liturgical music in accordance with recent Vatican directives. Eschewing any public celebration of his episcopal silver jubilee in 1938, he undertook his second official visit to Rome (his first had been in 1922). He used the opportunity to secure international support for the forthcoming National Eucharistic Congress, which he hosted in February 1940 as a contribution to the national centennial celebrations. Convinced that Protestantism was in decline, O'Shea saw communism and irreligion as the real threats to Catholicism and society. He therefore believed that his own church ought to co-operate as fully as possible with other denominations in matters of public concern. O'Shea was an early supporter of the League of Nations Union of New Zealand, initiated by a leading Presbyterian minister, James Gibb, in 1921. In 1930 he negotiated an agreement with the Bible in State Schools League of New Zealand whereby the Catholic church would not oppose legislation to introduce Bible reading into state primary schools. Although O'Shea failed to ensure the acquiescence of the other bishops, who publicly repudiated the agreement, he continued to support the league's objectives. During the depression, he encouraged Catholic relief agencies to co-operate with those of other churches, and when the New Zealand Inter-Church Council on Public Affairs was formed in 1941 O'Shea appointed Catholic representatives. He enjoyed the respect of leading politicians, but had a particular affinity with the New Zealand Labour Party and a warm relationship with Prime Minister Peter Fraser. O'Shea's diminutive stature, which contrasted with the more imposing Redwood, earned him the affectionate nickname of 'Little Arch'. Also commonly referred to as Tommy O'Shea, he was a popular figure in the community, and in the course of his regular walks in the city he maintained contact with a wide circle of acquaintances. From the mid 1940s O'Shea increasingly suffered from senility, and by the time of Peter McKeefry's appointment as coadjutor archbishop in 1947 he had become quite unable to carry out his episcopal responsibilities. O'Shea was bedridden for the final years of his life and died at Calvary Hospital, Wellington, on 9 May 1954. Connie Mack is a staunch defender of freedom who strongly believes that freedom matters and it works. His actual name is Cornelius Harvey McGillycuddy IV, and he is therefore an O'Sullivan. The name 'Cornelius' is an anglicized mutation of 'Connor', spelled 'Conchobar' in Irish. The very American sounding name, "Connie Mack" is an abbreviation of the very Irish name, "Connor McGillycuddy"! Mack was first elected to the United States House of Representatives in November 2004 to represent Florida’s 14th Congressional District. He currently serves on two committees: Foreign Affairs and Oversight and Government Reform, allowing him to effectively represent the needs of Southwest Florida. Over the last six years, Mack has worked to support the free market system and reduce the size and scope of the federal government’s interference with our personal freedoms. Mack believes that the private sector, and not the government, creates new jobs, and he has been a vocal opponent of the countless financial sector bailouts, the failed stimulus plan and the Fannie Mae/Freddie Mac takeover. Mack is also a leading critic of President Obama’s unconstitutional, nationalized health care plan (ObamaCare) and was one of the first Members of Congress to introduce legislation to repeal it. Because of his efforts to cut taxes and cut spending, Mack has been honored by the U.S. Chamber of Commerce, the National Federation of Independent Business, Americans for Tax Reform, the Club for Growth, and the American Conservative Union, among others. As a member of the Foreign Affairs Committee and the Chairman of the Subcommittee on the Western Hemisphere, Mack is working to promote freedom and stability throughout the region. Recognizing the threat Venezuela’s Communist President Hugo Chavez poses to the U.S. and our allies in the region, Mack has been leading the fight to have Venezuela named a state sponsor of terrorism. He continues to push for the enactment of the pending free trade agreements with Panama, Colombia, and South Korea, and strongly supports efforts to preserve free speech and a free press, which he considers to be basic pillars of democracy. Mack is also a strong supporter of America’s democratic ally in the Middle East, Israel. Congressman Mack previously served in the Florida House of Representatives from 2000 to 2003. 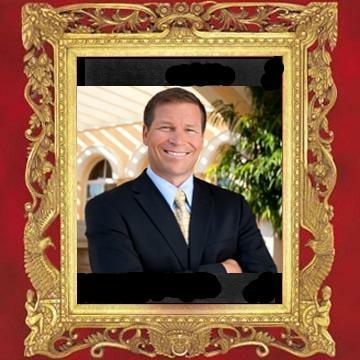 As a member of the Florida Legislature, he established himself as a champion for conservative values, and was named Deputy Majority Leader in just his second term. Prior to being elected to Congress, Mack was a business executive with Fort Myers-based LTP Management before becoming an independent business and marketing consultant. Connie Mack was born and raised in Southwest Florida and is a graduate of the University of Florida. He is the son of former U.S. Senator Connie Mack and well-known cancer prevention advocate Priscilla Mack. Mack is married to Congresswoman Mary Bono Mack. He is the proud father of two children, Addison and Connie, and two stepchildren, Chesare and Chianna. Mack resides in Fort Myers. He enjoys spending time with his family, boating, fishing, skiing, camping, an occasional round of golf, and watching Gator football on Saturday afternoons. Source: Connie Mack's official website. Please click on photo to visit Mr. Mack's site. Eoghan Rua Ó Súilleabháin (1748 – 29 June 1782), anglicized as Owen Roe O'Sullivan ("Red Owen"), was an Irish poet. Ó Súilleabháin is known as one of the last great Gaelic poets. A recent anthology of Irish-language poetry speaks of his "extremely musical" poems full of "astonishing technical virtuosity" and also notes that "Eoghan Rua is still spoken of and quoted in Irish-speaking districts in Munster as one of the great wits and playboys of the past." Eoghan Rua was relatively unknown to English speakers until 1924, although famous among Irish-speakers, especially in Munster. In a 1903 book, Douglas Hyde, an Irish scholar from Roscommon who had learned Irish, referred to him as "a schoolmaster named O'Sullivan, in Munster" in his book The Songs of Connacht (which includes a drinking song by Ó Súilleabháin). The 1911 version of the Encyclopædia Britannica mentioned Eoghan Rua in an article on "Celtic Literature," calling him "the cleverest of the Jacobite poets" and noting that "his verses and bons mots are still well known in Munster." In addition to patrolling with the Irish Volunteers, O'Sullivan had the distinction shared by a small proportion of later "original IRA" members of being a member of the Irish Republican Brotherhood (IRB), which traces its roots to earlier revolutionary movements of the mid-Nineteenth Century. He also had the honor of raising the Irish Flag over the General Post Office (GPO) in Dublin as fighting raged around the Irish rebellion's GPO headquarters and throughout the streets of Dublin during the 1916 Easter Rising. 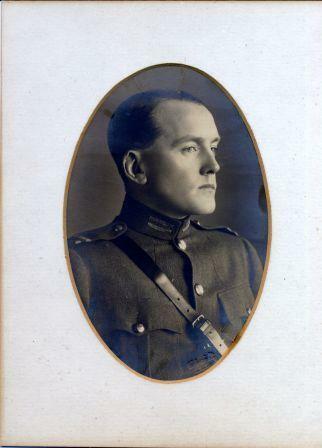 O'Sullivan, then 25, was the youngest IRB officer fighting in the GPO. He had been personally chosen by rebellion leader Sean Mac Diarmada to serve as his aide-de-camp. The additional honor of raising the Rebel flag was given to him by another of the rebellion's leaders, Patrick Pearse. For full Wikipedia article please click on photo. 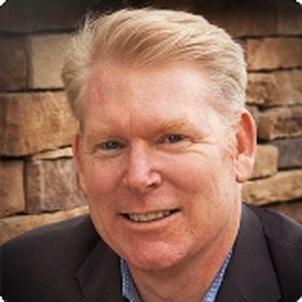 John Sullivan is co-director and co-writer for the upcoming Dinesh D’Souza movie “America – Imagine The World Without Her.” Sullivan is a film and video game producer with more 17 years in the entertainment industry. He wrote, directed, and produced “2016: Obama’s America,” the second-highest grossing political documentary of all time. 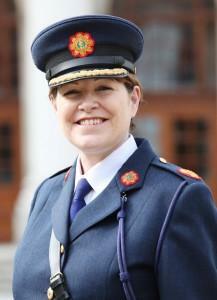 For the first time in the history of the Irish State, An Garda Síochána is being led by a woman. The former Deputy and Acting Commissioner Nóirín O’Sullivan will formally take over the role of Commissioner on a permanent basis following her appointment by the Ministyer for Justice today. 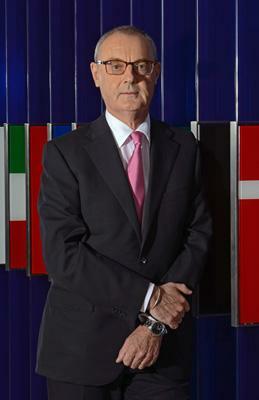 O’Sullivan was launched into the top spot after the resignation, with immediate effect, of Martin Callinan on 25 March this year. O’Sullivan joined the force in 1981 and has worked across operations and administration, making a name for herself initially by tackling the capital’s drug problem. She was among the first members of a plain-clothes unit which targeted Dublin’s dealers and their gangs. The unit brought a number of convictions against high-profile criminals. Her reward came in the form of promotions – thick and fast. In 2000, she was promoted to Superintendent and served in the Garda College with responsibility for specialist training and as a Detective Superintendent in the Garda National Drugs Unit. There, she was responsible for tracking the supply of controlled substances into the country. Three years later, another promotion saw her take a role at the Garda Technical Bureau as Detective Chief Superintendent. She also spent some time in Human Resource management. By 2007, she had been named Assistant Commissioner for the west of the country, while continuing in a HR role. Continuing her fast progression up the ranks, in June 2009, she was appointed Assistant Commissioner, Crime and Security. She took the Deputy Commissioner Operations post in 2011 – the first woman to reach the high rank. O’Sullivan’s qualifications also make for impressive reading. She has completed an FBI executive leadership programme designed for chiefs of police worldwide and holds a First Class Honours Advance Management Diploma from the Michael Smurfit School of Business in UCD. She also boasts qualifications from Harvard University, CIPD, the IMI, University of Limerick and Trinity College. Captain Arthur O’Sullivan, from Greystones, Co Wicklow, Was Personally Responsible for the Greatest Christmas Story in Military History. On Christmas Eve 1914, Capt Arthur O’Sullivan, from Greystones, Co Wicklow, was in his trench at Rue du Bois, near Neuve Chapelle on the western front, when he heard a foreign accent shouting from the opposite side of no man’s land. Thus began the now famous Christmas truce for Arthur Moore O’Sullivan, a 36-year-old career soldier in the British army’s Royal Irish Rifles. Amos, as he was known to his men, played a small but not insignificant role in the playing out of the truce on his part of the frontline trench, section E, not far from where the Italian artist Fortunino Matania would set his painting, The Last General Absolution of the Munster Fusiliers at Rue du Bois, now sadly lost. What did Amos and his comrades think on hearing the Christmas Eve invitation? Thanks to a memoir by Amos’s commanding officer, Col George Laurie, and the record of his exchanges with brigade headquarters, we know what happened next. In response to the German invitation, an Irish rifleman ventured out into no man’s land and was not fired upon. Instead, when he reached the other side, he was given a cigar by a German soldier. When he returned safely, other riflemen clambered out of the trench, the Germans now meeting them halfway across no man’s land. Col Laurie was thrilled with the pause in hostilities. “You have no idea how pleasant everything seems with no rifle bullets or shells flying about,” he wrote later. 1 The truce is sought entirely by the enemy. 2 The enemy have asked for two days of this, which has been refused by the officers of the battalion in the firing line. 3 The mutual arrangement is that if either side construct works, or carry out repairs to works, that the other consider not playing the game, they will fire shots over the other side’s heads. 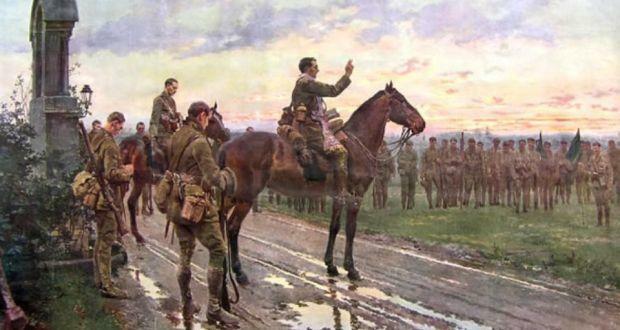 4 Capt O’Sullivan, commanding B Company of the battalion, will fire his revolver at 12 midnight tonight (25th/26th), at which signal the truce ends. Hostilities resumed gradually and the murderous stagnation of the western front took hold again in the early days of 1915. In March, O’Sullivan was wounded by German machine-gun fire while trying to cut through barbed wire across no man’s land. This prompted a complementary mention of him in a dispatch by the British commander, Field Marshal Sir John French. Two months later, Amos was among those who died at the Battle of Aubers Ridge, the same battle that did for so many of the absolved Munsters in the painting by Fortunino Matania. Arthur O’Sullivan was an only son. His father, Patrick O’Sullivan, was advocate general in Madras, India, but died, aged 52, in 1887. Arthur was born in Tamil Nadu in 1879, but by the time of the war, his mother, Sydney Jane O’Sullivan, a daughter of Dublin doctor and pharmacist William Daniel Moore, was living in the Burnaby Road house in Greystones. Arthur left £3,208, five shillings and 10 pence to his sister Katherine. She died, apparently of a heart attack, while playing tennis in 1916, and so his estate passed to his other sister, Muriel. He had no children. He is buried in the Royal Irish Rifles graveyard at Laventie in Pas de Calais, not far from the Rue du Bois. 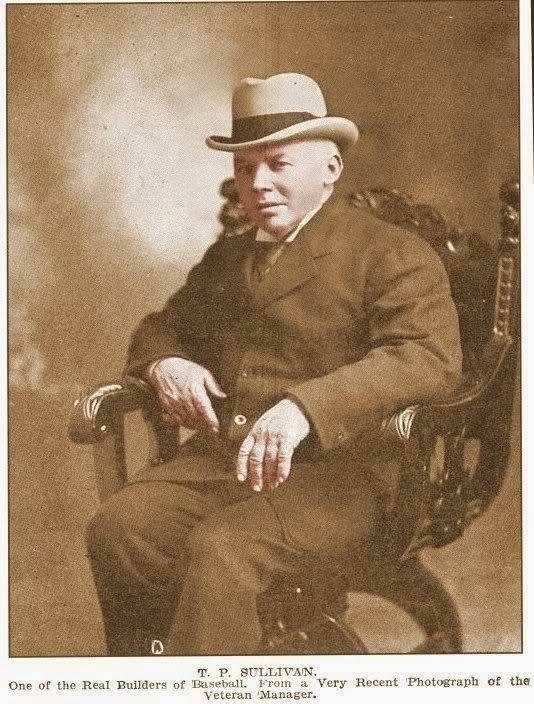 TP Sullivan - Major League Baseball pioneer and creator of the sports term 'fan', pictured in the early 1900s. BACKGROUND: A County Clare man is regarded as one of Major League Baseball's most pioneering figures. He is credited with creating the now commonly used sports term for a supporter, 'Fan', as well as the first person to emphasise the importance of scouting. Timothy Paul "Ted" Sullivan was born in Clare on March 17, 1851. After attending Saint Louis University, he managed four teams during the 1880s, one of which was the 1884 St. Louis Maroons of the Union Association, who finished with an astonishing 94-19 record. He moved on in midseason to manage another UA team, the Kansas City Cowboys. During his time in Kansas City he also made his only three field appearances. He didn't manage again until the 1888 Washington Nationals hired him to finish out the season. He led the team to a mark of 38-57, and ended his major league career with a record of 132-132. Sullivan later managed in the minors, including a stint with the Nashville Tigers of the Southern League in 1893. Sullivan is considered a pioneer of early baseball; he founded both the Northwest League and the Texas League, both minor leagues that still exist and thrive today. Credited with discovering Charles Comiskey, he is considered by some to be the first person to emphasise the importance of scouting. Sullivan was a great promoter of the game; he would tell stories of baseball's beginnings, and of its many star players. He authored books detailing these, including a barnstorming trip around the world in 1913–1914 by Comiskey's Chicago White Sox and the New York Giants. He is also credited as the originator of the word "fan", as in baseball fan. Sullivan later became a team executive and owner. Belleville’s Shawn O’Sullivan will be honoured in Toronto next month as he’s inducted into the Ontario Sports Hall of Fame. 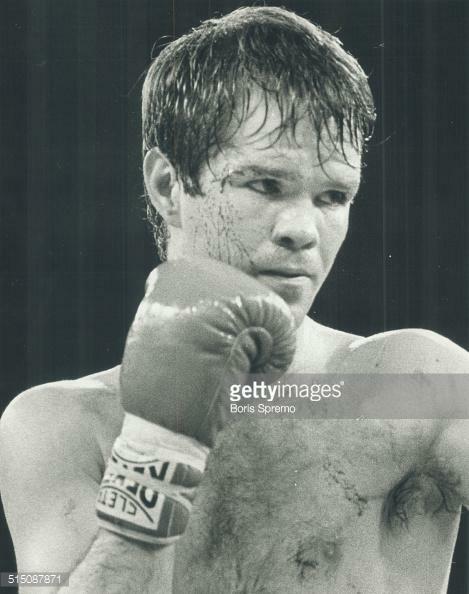 O’Sullivan was Canada’s Athlete of the Year in 1981 after winning gold at the World Amateur Boxing Championships. He was also a silver medal winner at the 1984 Summer Olympics in Los Angeles to go along with a gold medal at the 1982 Commonwealth games. O’Sullivan will be inducted September 24th along with Robbie Alomar, Laurie Graham, Garney Henley, Sharif Khan and Bill Symons. 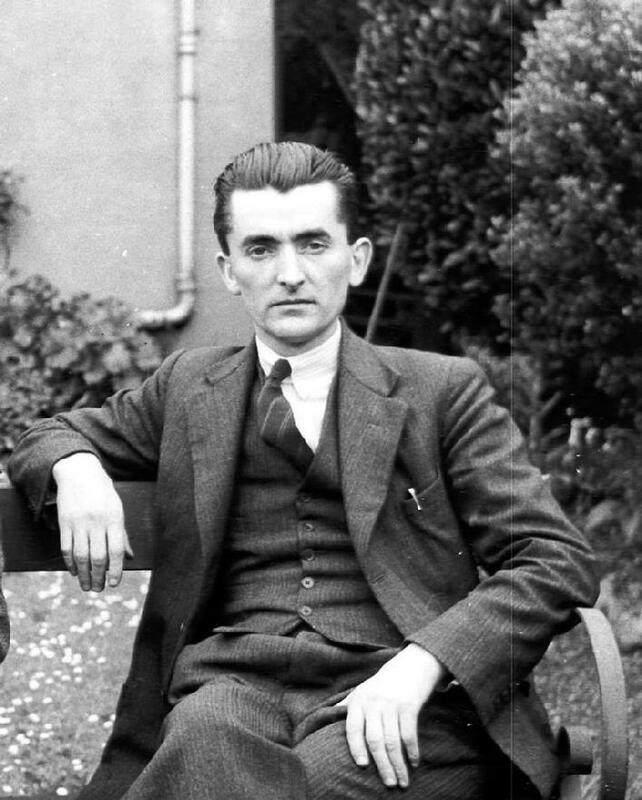 Seán Ó Súilleabháin, first archivist with the Irish Folklore Commission, was born in 1903. His remarkable work 'A Handbook of Irish Folklore' (a 699 page guide for field collectors and a key to the indexing system by which we arrange our collections today) is an encyclopaedia of Irish and broader European folk tradition and custom, and his monumental 'The Types of the Irish Folktale' catalogues 43,000 variants of Irish folktales. A scholar much respected by his peers and much loved by his students. Bruce Springsteen's Great-Great Grandmother was Annie Sullivan. On stage in Dublin, in 1999, during his first concert in Ireland since his Irish-American father's death, Bruce Springsteen took a moment to survey the crowd. "Are there any O'Farrells out there? Are there any McNicholases out there? Are there any O'Hagans out there? Because if you are, you're my relatives." There must have been quite a few in the crowd thinking: "Oh, my great-grandfather was a McNicholas - Bruce and I must be cousins!" Well, most likely there are many Irish fans who do share common ancestors with Bruce. His paternal lineage is made up of generations of Irishmen and women - Garritys, Farrells, McNicholases, Sullivans, O'Hagans, McCanns. While he regards his paternal grandmother Alice as Irish she was actually born in New Jersey. It was, in fact, his great-great-grandparents, Ann Garrity and Patrick Farrell, who made the trip (separately) across the Atlantic and began the family line that would produce the Boss. Their life in the farmlands of Monmouth County, New Jersey, would have been a tough one, and there was tragedy and hardship along the way, but they had escaped poverty and the Great Famine and, to some extent, they had their American Dream. If they could only have known what they had started: they married in 1875, exactly 100 years before their great-great-grandson recorded his break-through album, 'Born To Run'. Ann Garrity was born in the 1830s and it appears from parish documents that there are two possibilities as to where she was from. The first is that Ann's family hailed from Co Westmeath, most probably near the town of Mullingar. The second option is that Ann was the daughter of a Christopher Garrity from County Kildare, who emigrated to the United States and later sent for his wife and children. Whichever line is correct, we know much more about Ann's life in America as records there are intact. Ann left Ireland in 1852 and found a home among the Irish community of Freehold, New Jersey. The family house was at 87 Mulberry Street (later renamed Randolph Street), a working class neighbourhood to the south of the centre of Freehold. Ann's first marriage, to another Irish immigrant, John Fitzgibbons, brought six children. But the American Civil War veteran committed suicide in 1872 and Ann was left with no income of her own and with little time to grieve. She needed another husband to support her and her family, and she was remarried by 1875 to another Irishman named Patrick Farrell. Ann and Patrick are Bruce's great-great-grandparents. Patrick was a shoemaker and by 1880, Ann was bringing home some much needed extra cash by working as a washerwoman. Shortly after they were married, the couple had twin girls, Amelia and Jennie. The couple had enjoyed almost 20 years of happiness before Patrick died of kidney disease in 1894, aged 60. His requiem mass was held at the St Rose of Lima Church on the corner of McLean Street and Randolph Street. Three years later the church would be the focus of a happy occasion for the family when on St Patrick's Day, 1897, 19-year-old Jennie married labourer John McNicholas, aged 21. Around the same time the parish would open a church school and convent for the Sisters of Francis. This would later be the scene of Springsteen's rather traumatic schooling - on one occasion he claimed a nun pushed him into a waste paper basket as that was "where he belonged". John McNicholas had grown up in Baltimore, but his father Richard and mother Annie Sullivan were both born in Ireland. Springsteen would reference the McNicholas surname in his immigrant song, 'American Land'. Jennie and John had three children including Bruce's grandmother, Alice. Alice's Irish granny, Ann, lived with them. 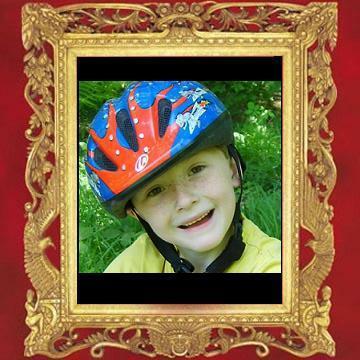 It was during this childhood that Alice would develop the strong Catholic faith and Irish wit which years later would have such an influence in shaping her grandson. And it was through Alice that Bruce got something else: his surname. Alice married a local Freehold boy named Fred Springsteen. 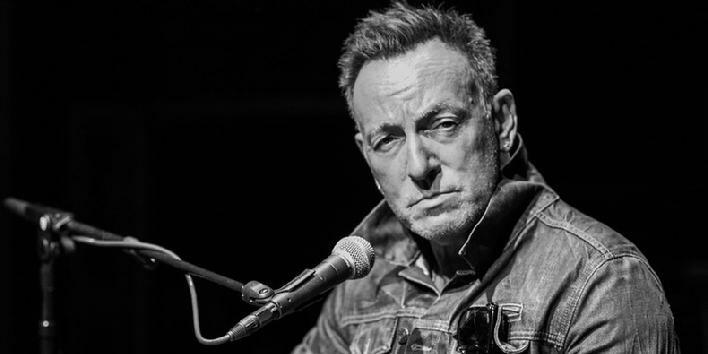 Fred's father, Anthony, was of Dutch descent but his mother, Martha, provides yet another Irish branch to the Springsteen family tree: her parents, John O'Hagan and Sarah McCann, were both born in Ireland. Fred's son, Doug, married Adele Ann Zerilli and Bruce Frederick Springsteen was born in Monmouth Memorial Hospital on September 23, 1949. The family were living at number 87 Randolph Street in Freehold - the very same house which Irish immigrant Ann Garrity had made home almost a century before. Lenny Sullivan, Springsteen's cousin and assistant road manager, died from an accidental drug overdose. According to a Jackson County, Missouri official, the cause of death was "acute amphetamine and heroin intoxication." The death was ruled an "accident" by the coroner. Sullivan was found dead in his hotel room in Kansas City on October 26, 2009 shortly before Springsteen was to take the stage. Springsteen's group, the E Street Band, canceled their concert at the Sprint Center at the last minute after discovering Sullivan. At the time, the group released a statement on their Web site that read: "Lenny Sullivan, Bruce's cousin and the assistant road manager of the E Street Band for the last 10 years, passed away today at the age of 36. . . A warm and sensitive person, he was beloved by Bruce, the Band, the crew, and the entire Thrill Hill family."